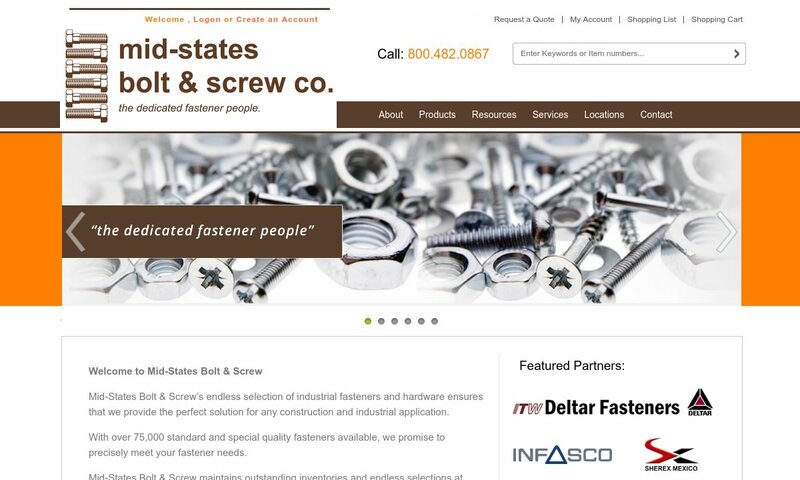 A reliable source for Fastener Manufacturers information and a resource for accessing leading Fastener Manufacturers and suppliers. Industrial fasteners are hardware that are used to hold materials together. This category is incredibly broad; over 500,000 types of hardware fall under the fastener umbrella. Fasteners & Fastener Manufacturers Industrial fasteners are hardware that are used to hold materials together. This category is incredibly broad; over 500,000 types of hardware fall under the fastener umbrella. 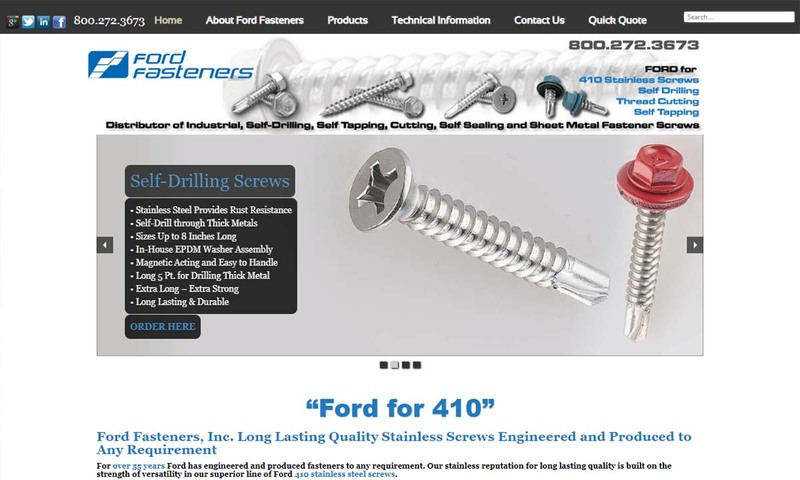 Ford is a leading provider of fasteners and other quality products. Ford offers self-drilling, thread-cutting and self-piercing options, in addition to EPDM washers and many other available types, serving and satisfying an impressive and valued customer base nationwide. 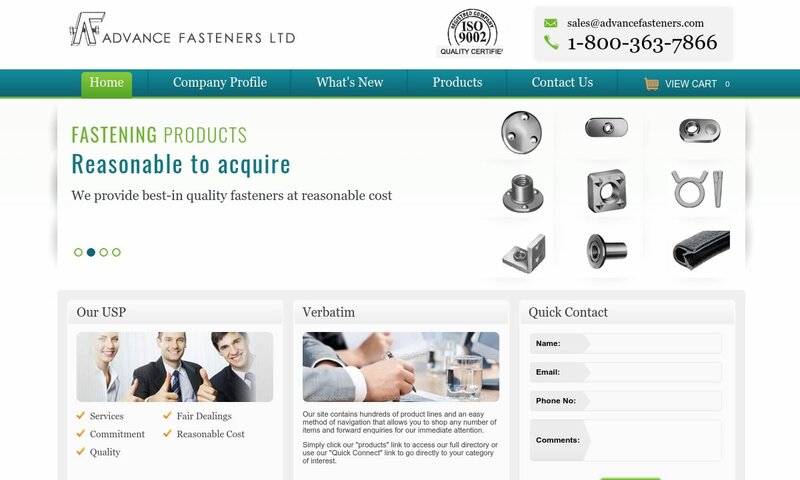 Founded in 1984, Advance Fasteners is a growing distributor supplying all your fastener needs. Check out our comprehensive range of industrial fasteners & supplies. 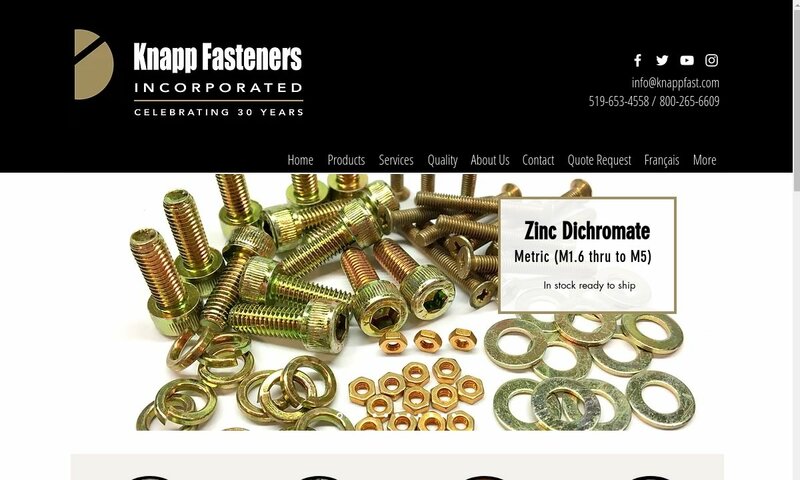 Knapp Fasteners provides industrial fasteners of every size, shape, and material. ISO 9001:2000 registered and in business for 30 years, you can depend on us for custom fasteners, bolts, nuts, washers, screws, mil-spec fasteners, anchors, and more. 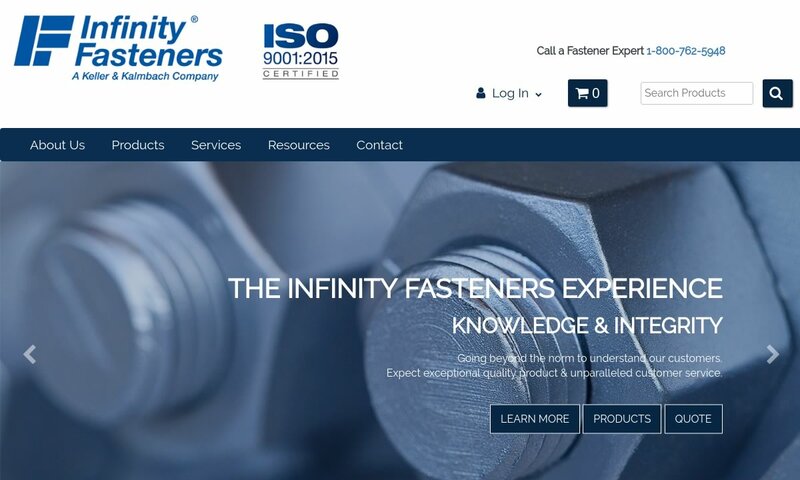 As a provider of custom solutions to inventory problems, Infinity Fasteners supplies our customers with a full line of metric fasteners and industrial fasteners. The tale of the fastener is, as they say, a tale as old as time. We don’t know when humans first invented fasteners, but we are fairly confident that the screw fastener was invented by the ancient Egyptians. After that, the Greeks helped move the mechanics of fasteners along rapidly. In approximately 400 BC, a Greek named Archytas of Tarentum invented the first screw threads used in the western world. Close to 200 years later, the Greek mathematician Archimedes invented the screw principle. Along with it, he designed the first wooden water screws, which he used to remove dirty bilge water from ships and irrigate farms. Another important early use of the screw was mechanical pressing; with it, Greeks and Romans pressed grapes and olives for grape juice and olive oil, respectively. Most of our knowledge on this comes from artifacts. For example, when excavating Pompeii, the great city that was wiped out by a volcano in 79 AD, archaeologists found that people of that time screwed together the joints of many medical instruments. The first work to mention the screw did not come until the 1st century AD. This work was Mechanica, written by Heron of Alexandria. Fasteners – Ford Fasteners, Inc.
Fast forward several hundred years, Europeans didn’t really use metal fasteners until Johann Gutenberg used them as a component of his famous printing press. After that, artisans gradually began using them more and more. Examples of 15th century metal screw applications include armor assembly and clock making. Later, Leonardo da Vinci imagined the future of fastener production when he sketched a number of screw-cutting machine designs. In 1560, a Frenchman named Jacques Besson built his own version of the screw cutting, or screw threading, machine. His machine screw cutter met success, and soon after, ingeniously, he designed screw cutting plates that users could attach to old lathes. In the 1700s, engineers and manufacturers began gaining access to technology and ideas that allowed them to begin to mechanize their machines. For example, in 1750 Antoine Thiout integrated a screw drive into the lathe, which changed them from manual to semi-automatic machines. One of the most important contributions to the industrial fastener industry was the introduction of standards organizations. For example, in the 1870s, several people formed the US Standard Thread. Next, a group of engineers formed the Society of Automotive Engineers (SAE), which continues to issue fastener standards to this day. Early standards organizations took it upon themselves to create uniform design recommendations and quality standards, which made it much easier for consumers to get matched with the equipment they needed. During the 20th century, manufacturers made many new industrial fastener designs, such as the self-drilling screw design in the ‘60s and started using many more materials than ever before. For example, in the last 20 years or so, fastener manufacturers have begun using nickel-based alloy fasteners, which can withstand much higher temperatures than steel. Fastener manufacturers today have access to better equipment, better technology, like CNC machines, and more resources than their predecessors could have imagined. Fastener supply is incredibly diverse. We expect great things from the industrial fastener industry in the future. Fabricators create the threads on threaded fasteners in many different ways. To start, they typically inject mold plastic fasteners, and cast or heat metal ones from sheet metal. Fabricators create threads via thread rolling or thread cutting. Thread rolling a metal fastener involves cold forming the metal under pressure into the right profile. This process gives the metal better resistance to abrasion and a stronger thread. When manufacturers perform thread cutting, they simply cut the thread pattern into the blank metal. Fasteners are usually made of metal, but in some applications, they are simply made of plastic. Most metal fasteners are manufactured from steel, stainless steel, brass, bronze, or titanium. Steel is a formable, strong, and durable iron alloy. Steel fasteners are popular for use with a wide variety of applications, depending on their carbon content. Stainless steel is an extra durable alloy steel. It is popular choice for many industries, such as automotive engineering, because these stainless-steel fasteners are strong and resistant to corrosion. Brass is a light duty alloy of copper and zinc. It is strong, corrosion resistant, and quite an attractive yellow color. Manufacturers usually use brass screws to secure decorative pieces, functional items they want to look nice, and for items to be used in or near seawater. Bronze is another light duty copper alloy. This time, it is alloyed with zinc. Bronze alloys are ductile, lightweight, good conductors of heat and electricity, and corrosion resistant. Like brass, they have a nice color and sheen, though it can tarnish over time. Bronze fasteners can be used for applications very similar to brass. Titanium fasteners are the number one choice for the aerospace industry because they are durable enough to be used as airplane construction fasteners. They are also extremely lightweight and strong. Plastic fasteners are used for very light duty applications, like children’s toys, where strength is not a major concern. When designing or assigning fasteners for their customers, fastener manufacturers consider several important variables. These include the weight that the fastener will be expected to bear, the environmental conditions, and the space limitations. These variables help manufacturers choose and customize details like the head type, the length, the fastener material, necessary coatings, screw grade strength, and decorative components. They will also decide on threads, or lack thereof, thread texture (coarse threads, smooth threads, etc. ), and thread measurements. These details are all important for different reasons. First, the head type makes a difference, as a wider head offers force on a greater surface area. Next, the correct length ensures that the fastener is flush with the surface. Third, because most outdoor applications require fasteners that will resist corrosion and ultraviolet deterioration, manufacturers must often apply protective coatings. Fourth, in machinery, manufacturers choose the strength grade that will keep the fastener from experiencing breakage or failure during operation. Next, when a fastener is used decoratively or fastens a decorative piece, manufacturers must make sure they choose a fastener that will not expose the head. Finally, threads largely dictate how the fastener will function. For the best organization, we can divide industrial fasteners into two overarching groups: threaded fasteners and non-threaded fasteners. Threaded fasteners are those fasteners that feature spiral ridges, called threads, on their body. Threads help them stay secure. 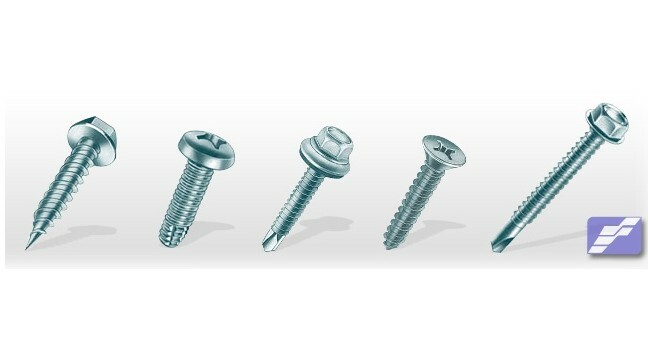 Prominent examples of thread fasteners included nuts, bolts, screws, studs, clinching fasteners, hex bolts, self-tapping screws, cap screws, tap-end studs, double-end studs, and continuous-thread studs. Nuts are metal blocks designed to work with bolts in order to create a strong attachment between the joining surfaces. To do so, they use internal threads that fit and hold onto the upper shaft of bolts. Bolts (bolt stud fasteners) , the counterpart of nuts, feature an external, partially threaded shaft. Users push them through the workpiece and secure them on the other side with nuts. Together nuts and bolts are known as nut and bolt assemblies. Screws are an extremely broad category of externally threaded fasteners. In general, they feature a spiral shaped thread shaft and a head. Since they feature a head, they do not need any other hardware to stay in place. Studs are metal shafts or rods with threads on both sides. Clinching fasteners, sometimes called clinch fasteners, self-clinching fasteners, or captive fasteners, are fasteners that when driven into ductile metal, deform the metal around the workpiece mounting hole. When they do so, the displaced metal cold flows into an annular recess located in the fastener pilot or shank. Clinching fasteners contrast with those fasteners that deform when they are installed. Hex bolts are bolts that feature a hexagon shaped head. They are common for use in construction. Self-tapping screws can tap their own hole as a user drives them into place. Cap screws are fully threaded fasteners designed to fasten machine parts. Tap-end studs are studs that feature long threads on one end and short ends on the other. The long end is called a nut-end. Users can round or chamfer the long end, and they can screw the short end into tapped holes. Double-end studs are those studs that feature chamfered points and threads of equal lengths on both ends. Most often, customers purchase this type of fastener for flange bolting. Continuous thread studs are studs that have no break in their threading. Rather, they are threaded continuously from end to end. Customers also often use continuous thread studs for flange bolting, though to do so, they must also use two nuts. Non-threaded fasteners are those fasteners that do not feature threads. Without threads, they are easier to install and easier to remove. Also, they do not require accessories like screwdrivers. Some of the most common non-threaded fastener varieties include pin fasteners, retaining rings, rivet fasteners, blind rivet fasteners, and dowel pins. Pin fasteners are simply steel pins that are most often cylindrical. With the help of a clip on the end, they fasten machine parts together and/or keep them in alignment. These come in handy in assemblies where the fastener must be removed frequently, like a tractor wagon. It would be too inconvenient to tighten and loosen a threaded bolt every time. In contrast, users can install and remove a pin in seconds. Retaining ring fasteners hold parts and assemblies in housings or onto shafts. They prevent the assemblies or two parts from sliding around or slipping. They can do this because, when installed, they are sealed into position in a groove. Some are also self-locking mechanisms. Customers purchase retaining rings for use on pulleys, door hinges, and electronics, as well as on furniture to form connections. Rivet fasteners, or rivets, are mechanical fasteners made up of a head attached to a smooth cylindrical shaft. Users install it by placing it inside a drilled or punched hole. When they do this, the tail end of the shaft deforms, becoming about one and a half times wider. This helps the rivet stay in place permanently. Customers often purchase rivets along with pins for more lasting and tamper-proof holds on pulleys and hinges. Blind fastener rivets hold two parts together at the head of a rivet. Sometimes called pop fastener rivets or blind rivet nuts, these fasteners consist of a tubular shaft and a mandrel running through the middle. Users install it by placing it in a drilled hole and then pulling on the mandrel with a rivet gun. As users pull in the mandrel, it will pop off or break, causing the rivet head, or blind end, to expand and hold the two parts together. Manufacturers do not recommend blind rivet fasteners for critical structural applications because the mandrel could fall out and because they are more susceptible to vibration and corrosion. When customers do purchase blind rivets, it is usually for use with parts that they can only reach from one side. Dowel pins hold parts together evenly to ensure perfect alignment. These solid cylindrical rods are generally quite small and are so useful in applications like toy making and shelf supports. To accommodate these applications, they may be rolled, tapered, or grooved. Snap fasteners are specialty fasteners designed for use on items like shirts, pants, and some bags. Sometimes called snaps, press studs, or poppers, they are made up of two metal or plastic interlocking discs. To fasten, users simply have to apply pressure and they will snap shut. Often, snap fasteners go in the place of buttons. Examples of common industrial fastener accessories include spacers, plugs, washers, sticky circles, sticky squares, and screw protectors. With a little bit of care, you can keep your metal fasteners and plastic fasteners working well for a long time. With metal fasteners, the key is preventing wear, corrosion, and rust. These detriments come from things like impact, friction, and moisture. To keep impact and friction at bay, we recommend you either request that your manufacturer add a protective coating to your fastener, or you keep your fastener well-lubricated all the time. To avoid moisture damage, you must limit the time your fastener is exposed to moisture. If your application is outdoors, this may not be possible. For prolonged moisture exposure, plastic fasteners are often a better choice than metal. That’s why it is so important to take care by selecting the right fastener for your application environment. Any industrial fasteners you purchase must meet the standard requirements of your application, industry, and location. For example, for military applications, fasteners must comply with federal military specifications. These fasteners are referred to as “mil spec fasteners.” The U.S. government offers up a variety design standards for fasteners, but many industries alternatively or additionally rely on the standards put out by SAE, ASTM, or ISO. Also make sure that you purchase a fastener that uses the correct standard measurement system. Fasteners are measured in two different systems: the metric system and the imperial system. In the US, the imperial system is standard, while metric sizes are more common internationally. To make sure you know the standards that your fasteners require, talk to your industry leaders. If you are in the market for a high-quality fastener, you to need pair up with a high quality industrial fastener supplier or manufacturer. Because we know wading through the sea of manufacturers listed on Google can be overwhelming, we’ve listed some of our top picks on this page. You’ll find them wedged in between our info paragraphs. We believe that whether you’re looking for an aerospace fastener or a jewelry fastener, you’ll find the right manufacturer for you on this page. Before checking them out, make sure you know your specifications. We recommend writing them all down on a list, so that you don’t forget anything.  Once you’ve done this, use your list as a guide and start looking at the manufacturers we’ve listed and their respective profiles. Pick out three or four that look the most promising and reach out to each of them. Discuss your application at length, including your budget, timeline, and delivery preferences. After speaking with each of them, compare and contrast your conversations, and pick out the right fastener company for you. Good luck!